Certified Biomagnetism Trainings in Ireland with Moises Goiz. 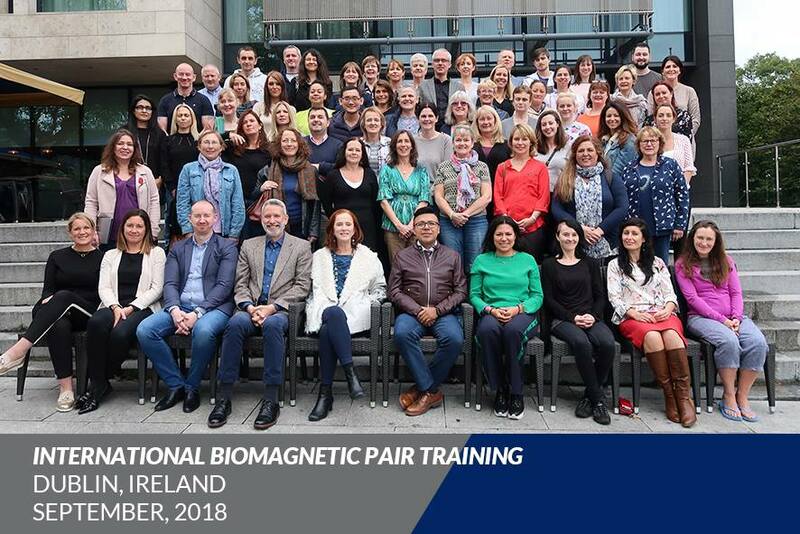 We are very happy and excited to come back to Dublin, Ireland after our success last year training 57 Certified Biomagnetism Pair Terapists!!! Anyone can attend the Biomagnetism Level 1 trainings there are no pre-requisites. You can also take both levels 1 & 2 back to back this year!!! 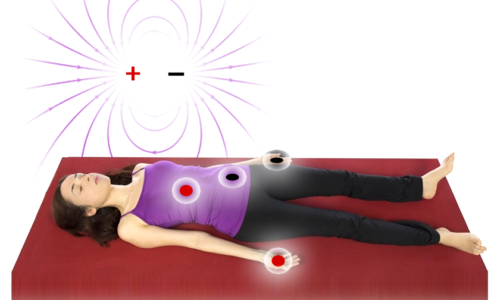 As many of you already know, Biomagnetic Pair Therapy / Medical Biomagnetism is considered by many health professionals the most advanced, powerful and effective healing modality available today to help us, our families, friends and clients regain health, energy and vitality! These are the only official Biomagnetism trainings in Ireland and the EU in English!! The training courses will take place at the Hilton Dublin Kilmainham Hotel. Each attendee is responsible for booking and payment of their Hotel accommodations. Certification is issued by the “School of Medical Biomagnetism Isaac Goiz Duran” which is the first and only worldwide Institution that issues the necessary official certifications for the teachings and instruction of Medical Biomagnetism and which is in charge of regulating, certifying and disseminating the latest discoveries so everyone can obtain the benefits of Dr Isaac Goiz Duran's technique as he discovered and developed it. If interested in attending any of these trainings, please fill out the corresponding Application Form, thanks! Once we receive your Form, we will send you detailed payment information. Biomagnetism also known as Biomagnetic Pair Therapy is a therapeutic system developed by Dr Isaac Goiz Duran, MD based on his discovery of the Biomagnetic Pair (BMP) in 1988. It's a simple, non invasive, low cost and very effective therapy that utilizes magnets of opposite polarity by pairs, Negative and Positive to detect pH imbalances of Acidity and Alkalinity in specific areas of the body to fight and neutralize virus, bacteria, parasites and fungus, which are the main cause of most illnesses while also balancing Glandular Dysfunctions and clearing the body of heavy metals, pesticides, vaccines toxicity, and other toxic substances that accumulate over the years. Note: There is a 175 € discount if taking both trainings together = Biomagnetism Level 1 on August 19-23, 2019 and Biomagnetism Level 2 on August 26-29 for a total of 2975 € for both trainings if paid in cash only. You can reserve your space in class by making a 300 € non refundable deposit. Seating is limited to 50 attendees. Please be aware that your space is not reserved till we received payment. We recommend to reserve your space ASAP, as our Seminars always sell out. Fee includes: 5 days of Theory and Practice, a pair of Magnets, a Manual, an interactive Excel presentation with a list of updated Biomagnetic Pairs and an interactive Biomagnetic Scanning Points, The Biomagnetic Pair and Tumoral Penomena books written by Dr Isaac Goiz Duran MD, a daily warm lunch buffet, 2 daily coffee breaks with snacks & pastries and ongoing free online support with Moises Goiz. Cancellation requests received before or by July 31, 2019 will incur in a 300 € cancellation fee. There will be no refunds for cancellation requests received on or after August 1, 2019. All cancellations request must be submitted in writing by sending an email to: BiomagnetismIreland@gmail.com. Magnetic Axis of the earth in relation to the Human Body. Biomagnetism Level 2 on August 26-29, 2019 with Moises Goiz. We are very happy and excited that registration is open for the first time in Ireland for Biomagnetism Level 2 on August 26-29, 2019 with Moises Goiz. After the successful training last year with 57 new Certified Biomagnetism Therapists, we are really looking forward to this next Advanced Biomagnetism level training and enjoying beautiful Ireland! This is the only Official Biomagnetism Level 2 training in Ireland and the EU in English!!! You need to have taken Biomagnetism Level 1 with an Official Certified Instructor in order to apply for Biomagnetism Level 2. You can take both trainings back to back! Each attendee is responsible for booking and payment of their accommodations. We offer the only Official Certified Biomagnetism training in Ireland. Certification is issued by "The School of Medical Biomagnetism Isaac Goiz Duran", which is the only worldwide institution that issues the necessary official certification for the teaching and instruction of Medical Biomagnetism and is in charge of regulating, certifying and disseminating the latest discoveries so everyone can obtain the benefits of Dr. Isaac Goiz Duran's technique as he discovered and developed it.